Brooke Adams stretched across a gray sectional in her Rincon Valley home Tuesday, playing educational games on an iPad. Like many kids her age, the red-headed, pigtailed 5-year-old girl can count to 20. She also knows most of her letters. 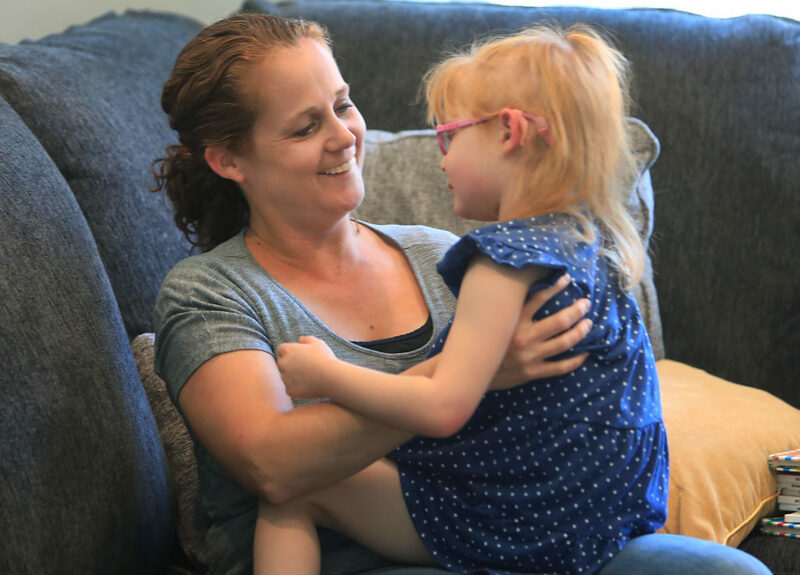 But Brooke was diagnosed before her first birthday with Dravet Syndrome, a rare form of epilepsy that causes frequent and long-lasting seizures. The first seizure came when she was only a few months old, said her mom, Jana Adams. 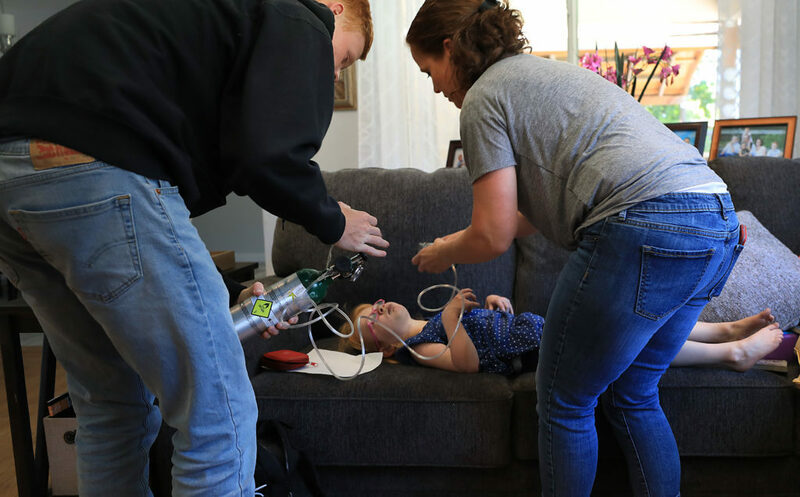 After trying pharmaceuticals that did little to prevent seizures, Adams said they turned to daily doses of cannabidiol, a marijuana compound also known as CBD, and THC oil to fend off Brooke’s convulsions. Larger doses of the THC medication are applied to her gums when seizures strike. 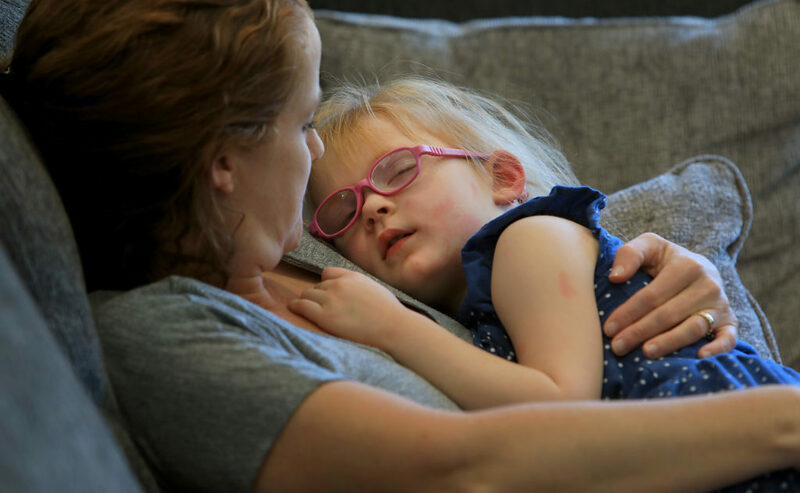 But the critical medication, which has helped cut down seizures to about once a week, is now preventing Brooke from attending kindergarten, her mom said. The Rincon Valley Union School District does not allow students to use the cannabis-based oils on campus, even for medical reasons. District officials point to several state and federal rules that prohibit allowing the medication onto school grounds. 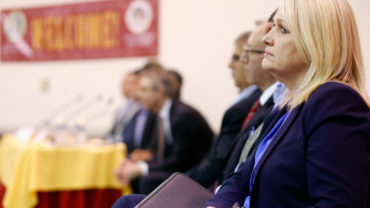 Brooke’s lawyer, Joe Rogoway, said the rules conflict with the Americans with Disabilities Act and the Individuals with Disabilities Education Act, which requires public schools to provide children with disabilities needed services and accommodations. A state judge on Wednesday and Thursday will hear arguments on the school district’s decision to bar the girl from taking the medicine on campus, a case that highlights legal barriers prohibiting medical marijuana in schools. Currently, states like Maine, New Jersey and Colorado have made exceptions for students whose doctors approve the use of medical marijuana, allowing parents or authorized caregivers to administer the drug. California Sen. Jerry Hill, D-San Mateo, pushed for similar legislation in February, introducing a bill that would give schools the option to allow parents or guardians to administer medical marijuana to their children. But the bill, currently in the California Assembly, would prohibit the medication from being kept at schools. 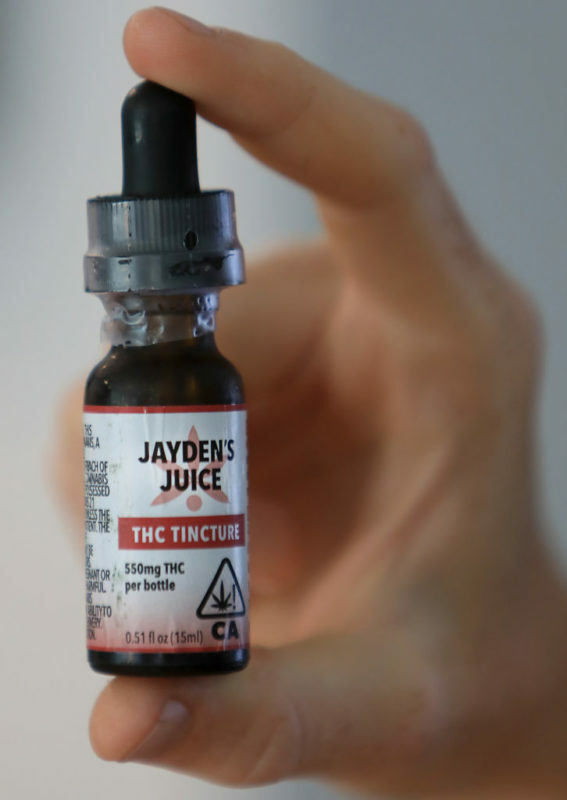 Jana Adams said her daughter wouldn’t benefit from the proposed legislation because the seizures happen sporadically and need to be immediately treated with the THC oil, rather than wait several minutes for her to reach the school in an emergency. “What Brooke needs is someone at the school to administer and keep it on campus,” Rogoway said. The Rincon Valley Union School District did accommodate her daughter two years ago when she started preschool. 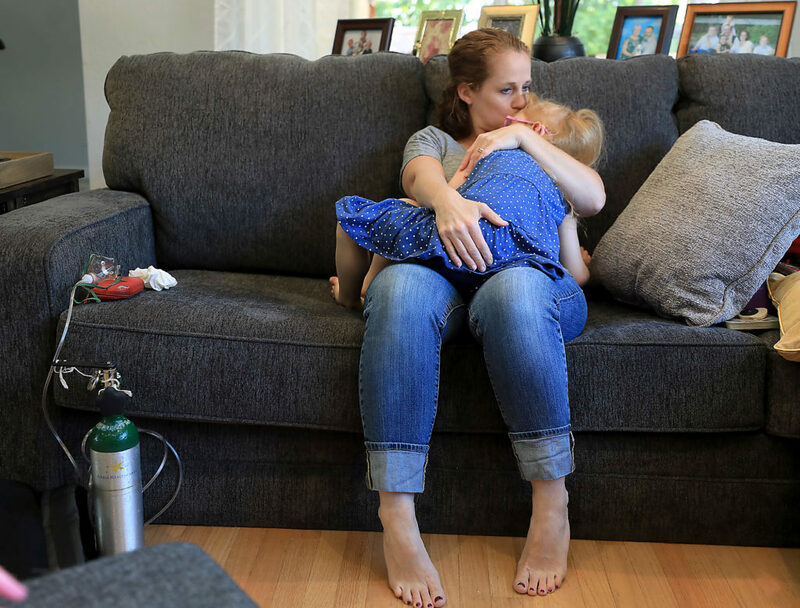 The district paid for Brooke to attend Humboldt Community Preschool, a Santa Rosa private school that agreed to let her bring the cannabis-based medication in case of emergencies, Adams said. The school also provided her daughter with a nurse who goes to school with her. But the district did not make the same accommodations when Brooke was preparing to start elementary school earlier this year, Adams said. It instead proposed Brooke be home-schooled, an option Adams believes doesn’t meet federal standards defined in the Individuals with Disabilities Education Act. Cathy Myhers, the district’s assistant superintendent for student services, cited several regulations that she said prevent school officials from allowing students to take medical cannabis on campus. For example, under the California Health and Safety Code, no one can smoke or ingest cannabis within 1,000 feet of a school, day care or youth center. The federal Every Student Succeeds Act requires schools remain drug-free environments, Myhers said. Brooke’s case was submitted to the California Office of Administrative Hearings’ Special Education Division on May 14. The division is responsible for resolving disagreements between school districts and parents of children with disabilities, according to its website. Rogoway said the two-day public hearing will allow him and attorneys representing the school district to make their case on how Rincon Valley should proceed with Brooke’s education. The hearing for Brooke’s case will start at 9:30 a.m. Wednesday at Santa Rosa’s Madrone Elementary School in Room 18, Adams said.